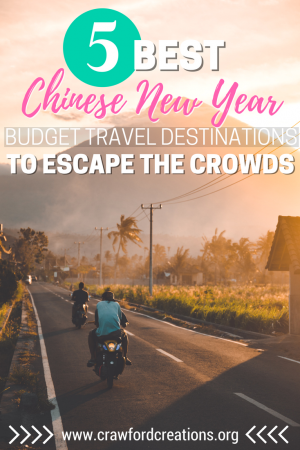 Picking a vacation destination to travel over Chinese New Year poses a unique set of obstacles. All of China shuts down for a week around this time, which is awesome because that means even foreigners like us get a free week of vacation, and bad because, well, EVERYONE gets a free week of vacation. This means that virtually all 1.5 billion Chinese that make up the most populous country in the world are traveling at the same time. I don’t know about you, but being in the midst of what’s known as the world’s largest annual migration of people terrifies me. This is what train stations and airports in China look like around Chinese New Year. 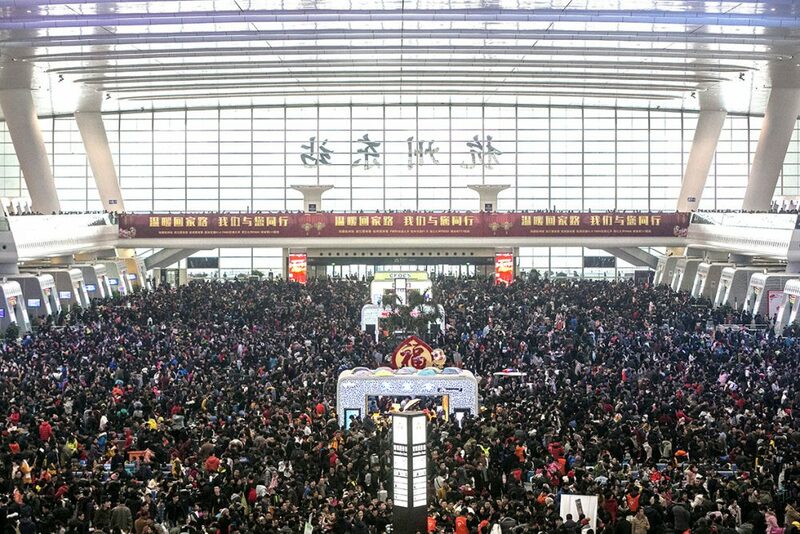 A train station in China during Chinese New Year. Photo by International Business Times. Most foreigners, us included, opt to form our own migration out of the country over Chinese New Year. Unfortunately, more and more Chinese are starting to travel abroad over the holiday as well as it’s one of the only times they are able to get a good chunk of vacation from work. The last thing we ever want to happen is that in our attempt to get away from China, we end up in a foreign country surrounded by Chinese people feeling like we never left. Nothing against China or Chinese people, but I think every China expat there ever was would agree that there comes a time when you just need to get out. Take a break. Enjoy some uncensored Internet. Am I right? If you’re like us and are feeling the need to get the heck out of China this holiday season without paying holiday prices or being mobbed by Chinese tourists then consider these 5 countries your vacation oases. Cambodia is where you’ll find us this Chinese New Year. When Chinese people ask me where we’re going for Chinese New Year and I tell them Cambodia they look at me like I have five heads and go “Where?” Some of them ask, “Is that the country next to Thailand?” Others just straight up have no idea that the country of Cambodia even exists. This makes my heart so happy. And a little concerned about their lack of geographic knowledge. But mostly happy. I’m sincerely hoping that due to this reaction we won’t encounter mobs of Chinese tourists on our Cambodian vacation. Time will tell. I’ll report back in a few weeks. While Cambodia is no island retreat, it’s filled with incredible history, gorgeous temples, and beautiful floating markets. It’s also probably the only place in the world that has an Angelina Jolie themed restaurant in the middle of town. She put Cambodia on the map with her movie Tomb Raider, and the Cambodians are ever so thankful for the influx of tourism and cash. 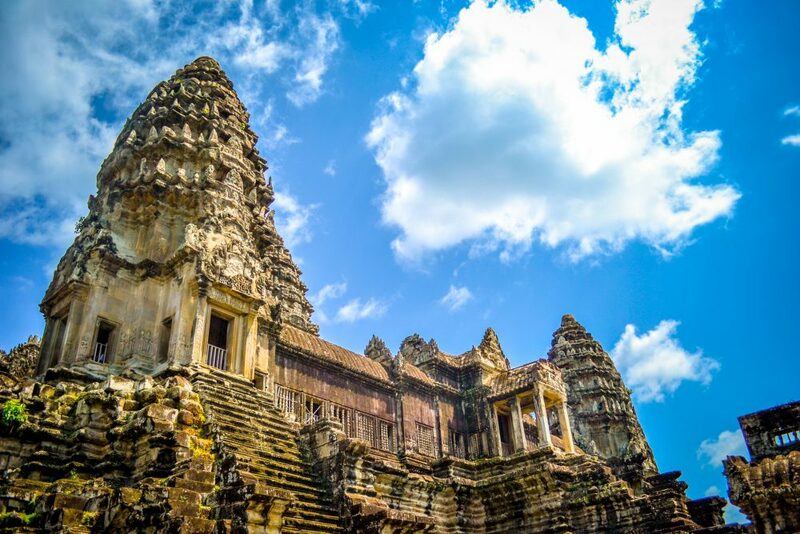 We can’t wait to tomb raider it up exploring the Angkor Wat Temple Complex for 3 days. For those of you who think, how the heck can you explore a temple for 3 days, it’s actually many many temples. Angkor Wat is just the most famous, and what the complex is named after. Looking to travel to Cambodia? Kick your trip planning off with blogger Goats on the Road’s Mini Travel Guide to Cambodia. Why Don’t the Chinese Travel to Cambodia? The Chinese government supported the Khmer Rouge during the Cambodian civil war. And for those who don’t know, the Khmer Rouge did some really bad things and killed a lot of people. The fact that the Chinese supported this regime left a bad taste in the mouth of the Cambodians and so the two countries don’t really like each other that much. The Chinese do know about this country, yet they’re still not big fans of traveling there. Bali might be an exception, but the rest of the country is fair game over the holiday season. I remember seeing only a handful of Chinese travelers during the two weeks we spent traveling around Indonesia last Chinese New Year. Stunning scenery, ancient temples, volcanoes, pristine beaches, and incredible diving and snorkeling are just a few things that come to mind. Also, most people don’t realize how much of this place there is to explore. Indonesia is made up of over 17,500 islands and ranks as the 15th largest country in the world based on area. That’s incredible! It just doesn’t come across that big on a map, but the place is huge! 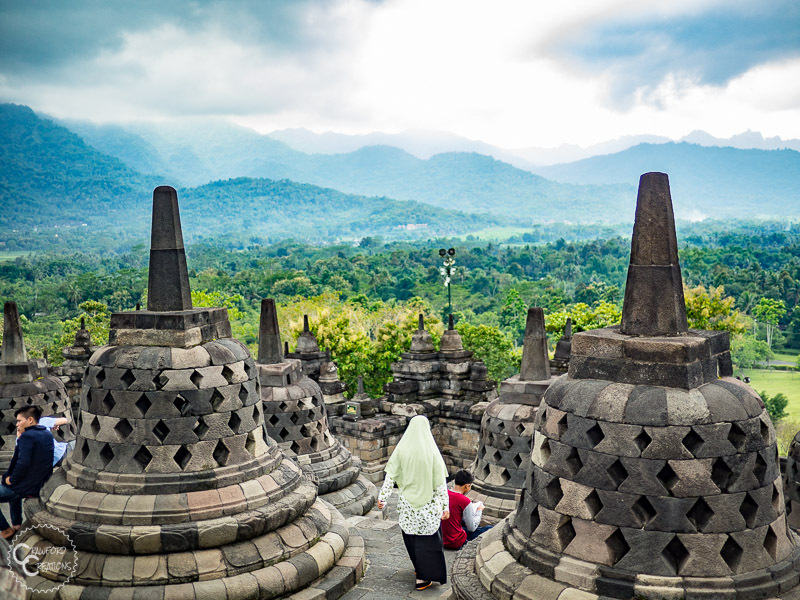 I love having a ton of opportunity to explore a country on my travels, and Indonesia offered me just that. We were there for 2 weeks and only got to explore Java. Just one of the 17, 500 islands. How crazy is that? We left already wanting to come back and explore more. There just wasn’t enough time to discover all the epicness Indonesia has to offer. Why Don’t the Chinese Travel to Indonesia? This is going to be a recurring reason for the remaining countries, but Indonesia is seen as a really poor and dirty country in the eyes of the Chinese. It’s also primarily Muslim, which also scares a lot of people off, although it totally shouldn’t. We met some of the nicest, friendliest people during our time in Indonesia. In fact, the only complaint I had about the place was that the food was nothing to write home about. Actually, that might play into the reason why a lot of Chinese don’t travel to Indonesia now that I think about it. Food is a major topic of conversation among Chinese people, and they love nothing more than to try the local foods. Oh India. I am both equal parts excited about the prospect of one day traveling around you and terrified how mentally taxing it could be. I’ve heard good and bad things about India, and I know the Chinese have too. The difference is it’s not going to stop me from one day visiting this incredible place, whereas it does stop the Chinese. 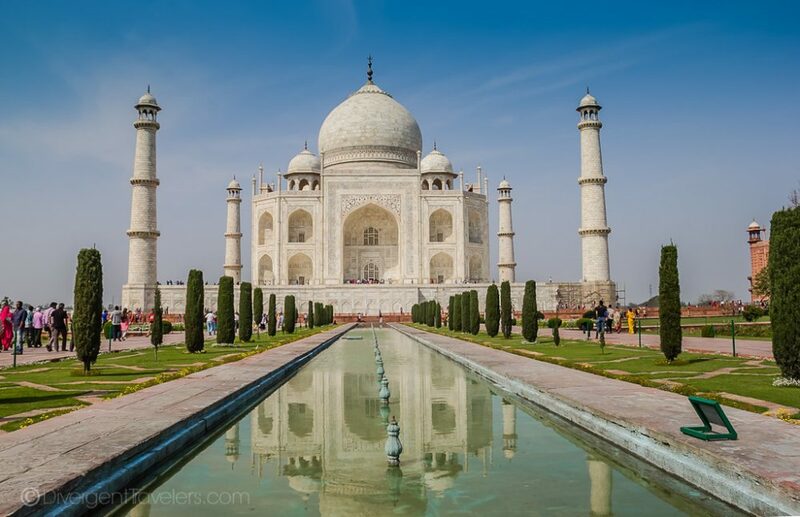 I can’t wait to explore India’s fascinating culture, eat all the Indian curry I can stuff in my mouth, see the pink city and the Taj Majal and find as many of the county’s hidden gems as I can. We’re coming for you one day, India. The food, the incredible architecture, hiking in the Himalayas, the unique culture, the colorful towns, cows in the streets, to do yoga, really there are so many options, just take your pick. Personally, I opt to experience all of that. I love animals, all things colorful, Indian food, hiking, and yoga, so I have a feeling that India and I will get along quite well some day. Why Don’t the Chinese Travel to India? Well, for one, China and India don’t like each other very much. To this day the two countries fight over the same disputed border that was the basis for the Sino-Indian War. Basically, each country claims that parts of the Himalayas that are currently under control of one country, are the property of the other. India also vehemently opposed the Chinese takeover of Tibet, further alienating itself in the eyes of the Chinese. Because of the political tensions, it’s actually become quite hard for Chinese to travel to India and vice versa, even if they wanted to. Neither country wants each other’s citizens to cross the border. And I’m not sure about India, but I can tell you from the Chinese side, they make Indians feel very unwanted when crossing the border. We’ve witnessed blatant discrimination of this sort at China’s international borders. It’s basically expected that you’ll be waiting for a long time if you get in line behind an Indian through customs as their passports are scrutinized and they themselves are often taken aside for questioning. Another reason is that India is seen as a dirty, poor, slum state to most Chinese, which really turns them off from traveling there. The Chinese are all about image, and most of them wouldn’t want to be seen in a place like India. Based on my search for possible flights to Laos for a trip later this year, I’m forced to conclude that not many people travel here in general. Even from a huge hub of an airport like Hong Kong there were still no direct flights to Laos. For reals. I’m still shocked. The country is a true backpacker, adventure travel destination, a lot of which is still uncharted territory. This means that it’s cheap and is mostly undeveloped with beautiful countryside. If you’re into hiking, river sports, or cycling then this is the country for you. Fun fact, it’s also the cheapest place in the world to go on a hot air balloon ride! Don’t know about you but that’s definitely on my bucket list. 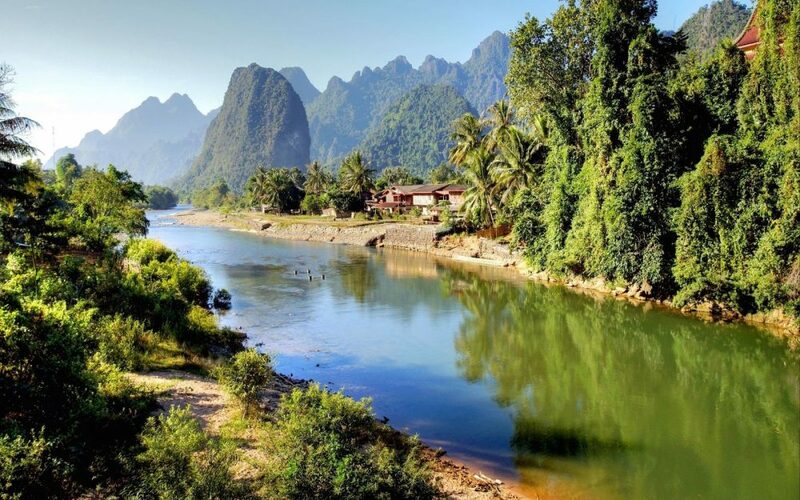 Planning a trip to Laos? Check out blogger Nomadic Matt’s Laos Travel Guide. Why Don’t the Chinese Travel to Laos? Well, for one, it’s an unknown travel destination so there’s just not much information available about the country out there. And second, it’s really hard to get to from China as there are no direct flights from the country to Laos, and most of the flight’s that are available are much more expensive than traveling to other Southeast Asia countries. In a similar fashion to Laos, Myanmar is still relatively new to the travel scene. I’ve only really heard of Bagan as a travel destination, but I know the country is way more than just one town. 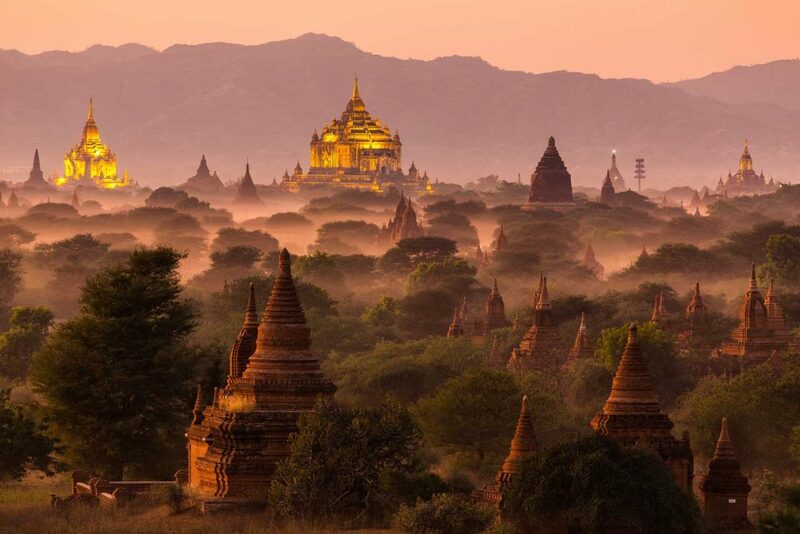 Just opened up to tourism in the past few years, Myanmar is a gold mine of travel opportunity for anyone adventurous enough to take the path less traveled. While the country’s political history has been fraught with peril, its countryside, and cultural relics remain mostly intact, leaving travelers a lot to see and explore. The country has some of the most incredible temple-strewn landscapes in the world that you truly have to see to believe. Why Don’t the Chinese Travel to Myanmar? Myanmar’s long history of civil war and political dissonance that ended just a few short years ago in 2011 has left many Chinese, and travelers in general really, hesitant to vacation in the country. Their tourism industry is extremely new and not very well developed yet. It’s also, once again, seen as a very poor impoverished nation, is thought to be not a safe place to travel. 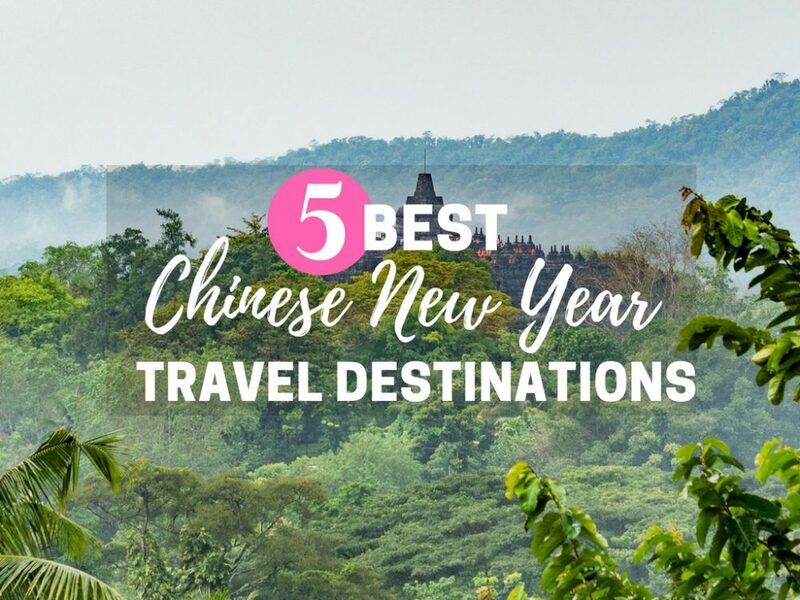 Where are you headed for Chinese New Year vacation? If you haven’t picked a spot yet, we hope this list has given you some ideas, maybe of places you hadn’t thought about before. Gongxi Facai 恭喜发财 and Happy Chinese New Year! Also I’m sorry to report, there is an ever growing amount of Chinese tour buses that make the trip over from Thailand to see the Angkor Temples in Siem Reap though. Last time I was there they had built tons of brand new huge hotels on the outskirts of town to accommodate the Chinese. Barely any of them make it any further south into the country though. It’s not even close to CNY 2019 and I’m already starting to get anxious (that picture of the packed out station didn’t help). I had my first look on C-trip just to see what’s out there and one of these top 5’s are likely to be my chosen destinations again. It’ll probably be Cambodia again though as I just can’t get enough of it. Lovely people, really great food (Phnom Penh has loads of variety when it comes to eating. especially if you like French style). Very true about Angkor Wat. The Chinese tourists are coming!!! The rest of Cambodia seemed nice though. We never made it to the islands, but they sound amazing!! I would love to see that luminous phosphorescence, so cool! Good luck choosing your CNY destination. It’s always one of our hardest decisions trying to figure out where to go that won’t be crowded with Chinese tourists. Just what happens when 1.5 billion people get vacation at the same time! Thanks for updating my bucket list.